Many brave models were lost during the vintage years. Another 19 models go a new tour of duty in this explosive DVD! Some of the most amazing footage we've filmed yet! HAHAHAHA ahhh so this is where all the silliness lives. daddy like. I never thought anyone would find them all! LOL!! alas the title of supreme geek may be taken,but now you all know which models you're looking for. i hav'nt mentioned WHERE they are ,but they are all in there,so get crackin with the pause button and see if YOU can find them too. Sneeky mr hi-lift is well hidden considering he's decked out like an american cop desert trooper's rig.He's certainly the most fun to find! I think this is an excellent addition to an already great DVD...where's waldo! 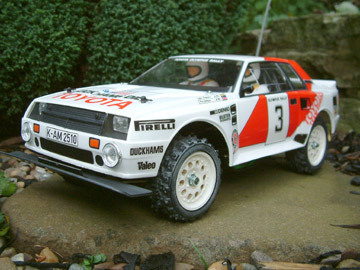 i reckon the mystery static seven are ....tamiya mini cooper,wild willy original,toyota celica grb rally,subaru brat,holiday buggy,ford f350 hi lift in police colours and a kyosho lazer zx-r.? Does this mean i win the title of cheif geek o the anorak? There are 7 cars/trucks in the background or foreground that are NOT included on the 19 'Role of honour' list. Oh and, NONE of the 7 cars/trucks are moving.
" I pity the fool who dont buy this dvd! " B.A.Barracus. Who say's Xmas can't come early?! That is exactly what this DVD is! 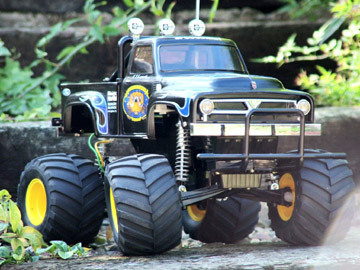 All the magic of Tamiya brought to life in perfect glory for a whopping 69 minutes. Yet again prepare yourself for sensory overload,the editing,the music,the thrills....the spills! 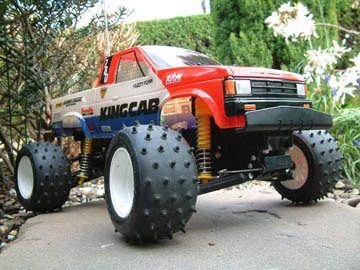 All in the trademark quality of Tamiya101.com. This time round you get a tasty portion of EACH model in its own mini-movie, aswell as group mayhem. And as if that wasn't enough,the special bonus features at the end had me in histerics!...bigwig....heehee.you'll see! Benny Hill would be proud! This film is a must see,must hear,mustn't wet yourself joyride with the best Tamiya's you could imagine.there's drifting in the sand,jumping,bumping,rallying and the kind of carry on that only grown men can think up!
" 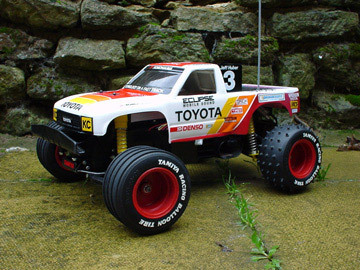 I love it when 19 Tamiya's come together ". Hannibal Smith. Superb editing,locations, movie content to keep you amazed. 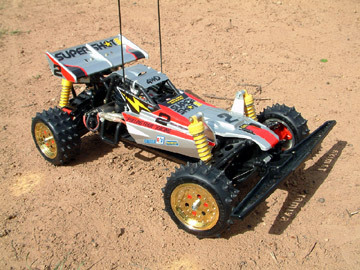 Quite simply the BEST Tamiya RC DVD ever produced. Moosey and Stevo309 worked really hard on this one and it shows. Highly Recommended.